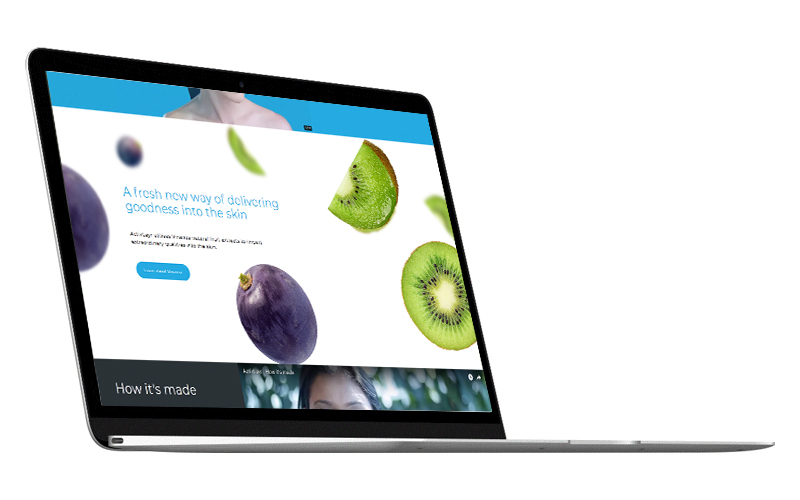 Revolution Fibres briefed us to create a website which beautifully portrayed their collagen nanofibre skincare product. Videos were created to show the process involved in making ActivLayr, and how to apply Activlayr. With a big customer in China, Revolution Fibres requested a full Chinese translation of the website. This was achieved through a system which gives you full control of every word in multiple languages, to ensure nothing gets lost in translation. ActivLayr is a collagen nanofibre which is the perfect delivery technology for bioactives and medications. For example grape seed extract and kiwifruit extract are added to the chemistry before electrospinning, and give the product extraordinary skin rejuvenation properties. Upon gaining a thorough understanding of how the product was created, and how it is applied, we set out to produce videos to help others understand as fast as possible. We scripted and storyboarded these two clips, and with the help of a great in-studio shoot with Eyes & Ears, one of our production partners, we then finished editing and animation in house.